The word rare earth pertains to a classification of certain minerals. It in no way implies that these materials are, in fact, “rare.” They are mined in different parts of the world and are relatively plentiful. Characteristics of rare earth magnets – Rare earth magnets can store far more energy than conventional magnets, enabling parts, devices or equipment to be miniaturized in response to recent market trends. 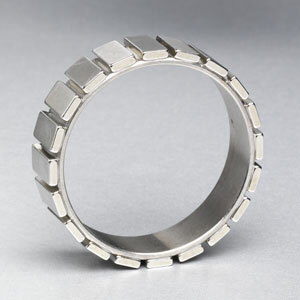 Rare earth magnets are utilized where high levels of magnetic force or energy are required. The two most used rare earth alloys are neodymium (NdFeB) and samarium cobalt (SmCo). The most well-known example was the application of NdFeB magnets in the starter motor for GM trucks which effectively reduced the size and weight of the starter motor by two thirds. NdFeB – High coercivity (high resistance to being demagnetized). NdFeB also has a high saturation magnetization giving NdFeB ability for storing large amounts of magnetic energy. NdFeB magnetics are produced as injection molded magnets which permits other components, for example, a steel shaft to be insert molded. For higher energy requirements (above 5Mgo), NdFeB alloy must be sintered. SmCo – Samarium cobalt is often used in micro motor applications such as camera motors. 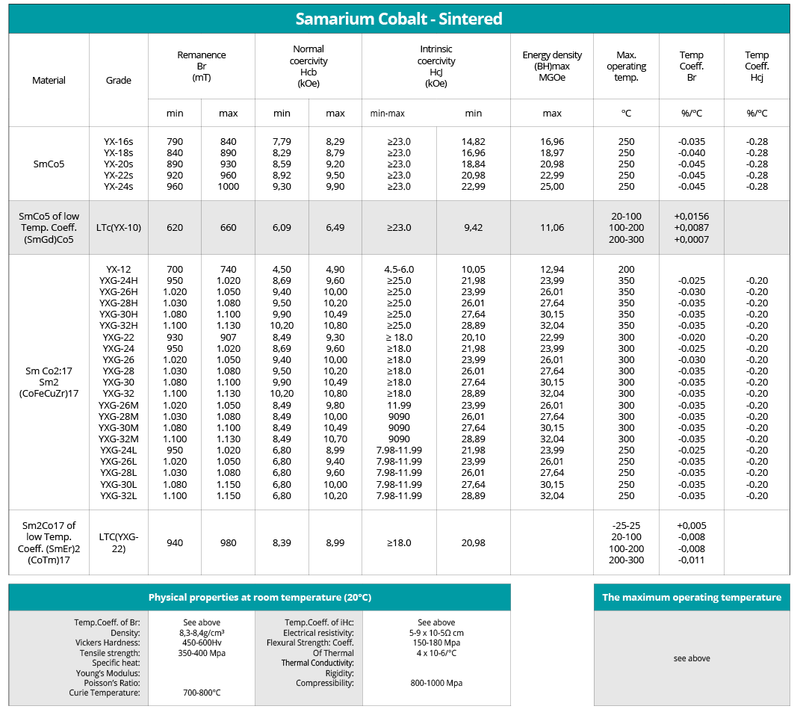 Cobalt is indeed one of the “rarer” rare earth elements and its price can fluctuate dramatically resulting in the variance of the cost of the end magnet.